Cordon and McCoy had been in a dispute over her presence in his house, and McCoy had previously tried to evict her. In her 911 call immediately after the robbery, Cordon said that she believed McCoy had someone attack her, and in August, Cordon filed a lawsuit holding McCoy and a friend of his liable for the robbery and beating. There’s no reason to doubt the truth of Schefter and Rapoport’s reporting, but the timing of their simultaneous scoops is fascinating. Schefter credits his reporting to “sources,” while Rapoport says he’s hearing this from “a source informed of the situation.” Clearly, these sources are friendly to McCoy and the Bills. This investigation has been going on for two months, but the leaks that help clean up McCoy’s reputation come just hours before the Bills face the Ravens in Week 1 today. 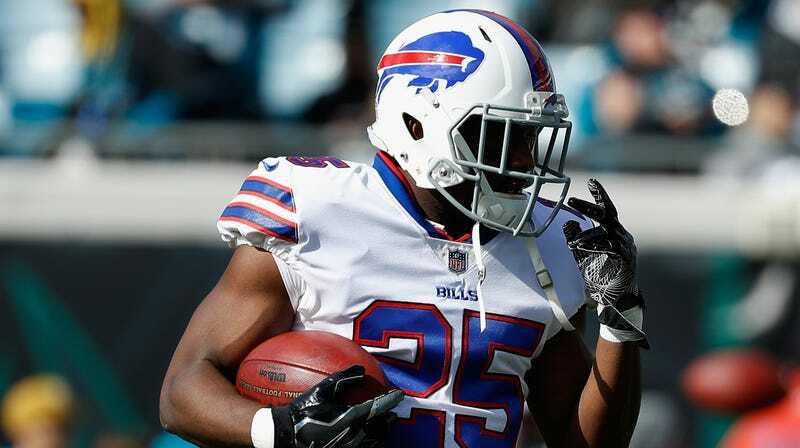 If Bills coaches and officials were alarmed about what the investigation would yield — and they have been in contact with people involved in the case — they would not have allowed McCoy’s selection as a captain to stand. Congrats to Bills fans and anyone who has LeSean McCoy on their fantasy team. You’re free to take this all at face value and watch the Bills with an entirely clear conscience.